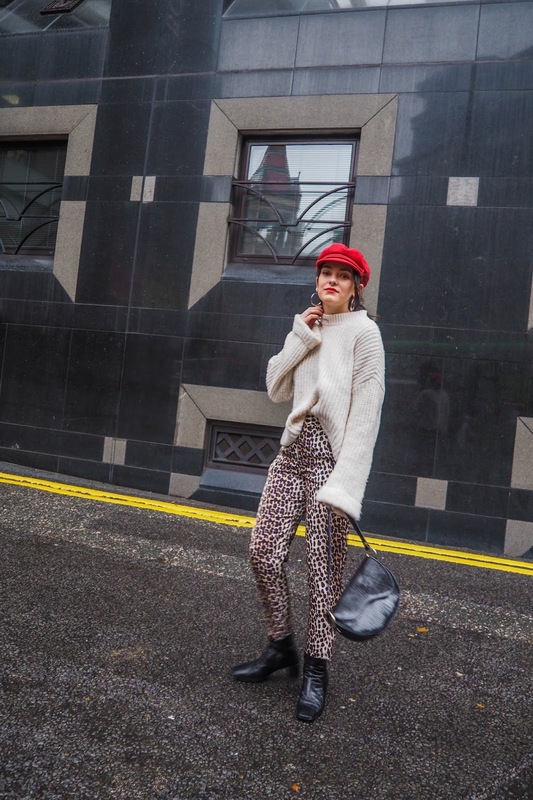 There’s something about leopard print that keeps drawing me in, season after season, year after year. So much so, that my wardrobe is now beginning to resemble that of a certain Pat Butcher - is it bad that I’m quite pleased about this achievement? Done right, this is a timeless print that suits everyone and can really take an outfit to the next level. For the daytime I always like to mix elements of smart and casual in most of my outfits so it’s never too much of one or the other. Jumpers are my one absolute wardrobe MUST-HAVE this time of year as they go with anything and everything. When paired with smart trousers or midi skirts I tend to do the ‘half-tuck’ to add a bit of interest (and a waistline!) to an otherwise very loose-fitting outfit. And welcome back to the baker boys! Oh how I’ve missed these little beauties. 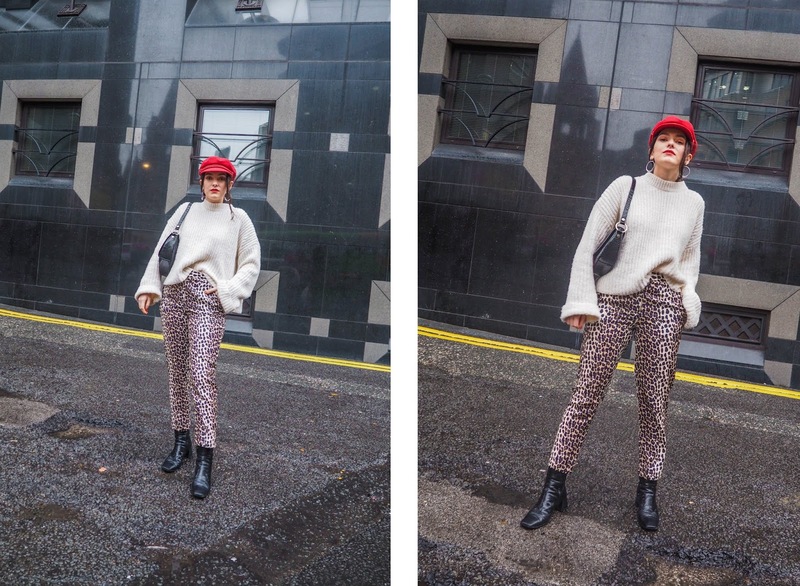 They are such a fantastic accessory this season to not only switch up your looks to give a totally different vibe but they also double up as a mini umberella during drizzly days and a shield against the Baltic winds of the North. Brixton and Topshop are my favourite places to shop them. 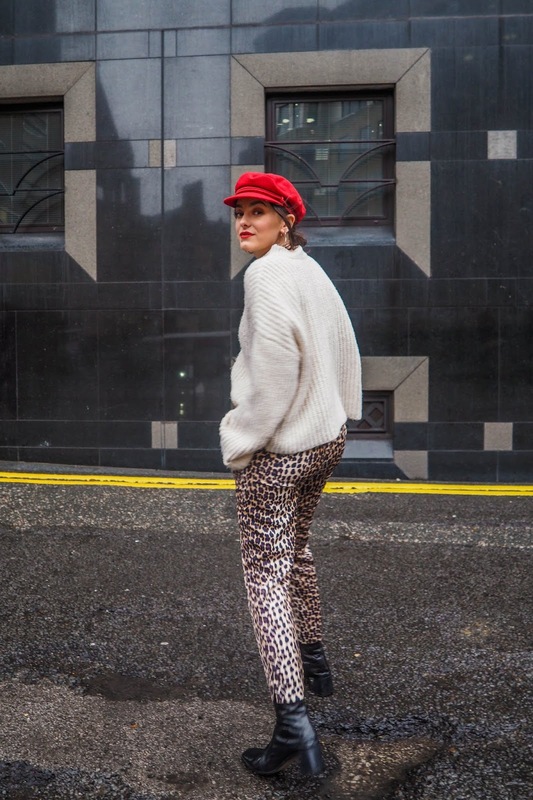 In my humble opinion, red and leopard is a failsafe in any outfit. 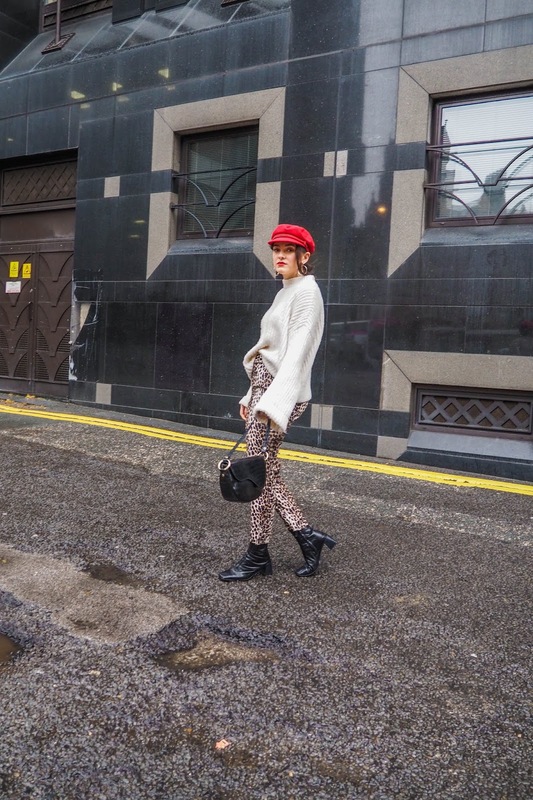 I think the hat and matching red lip work perfectly to make the leopard print pop even more. 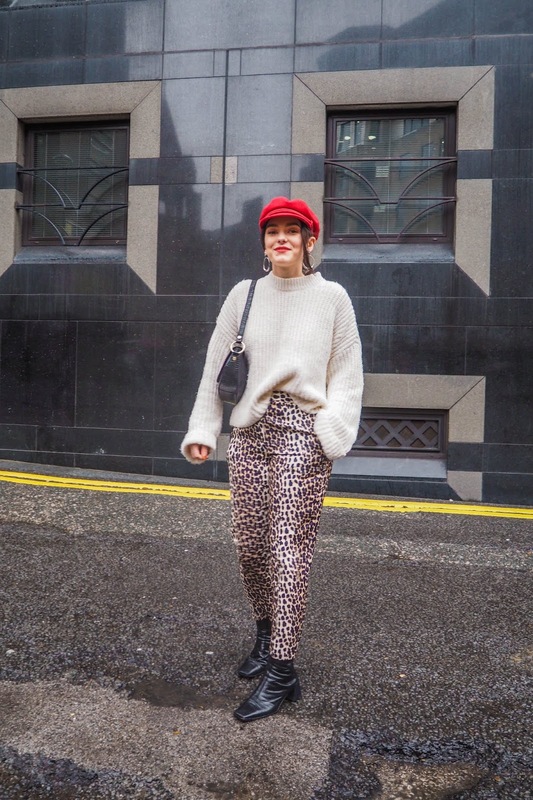 Pared down with a slouchy neutral jumper and some black boots, this is a look I will wear countless times and never tire of.